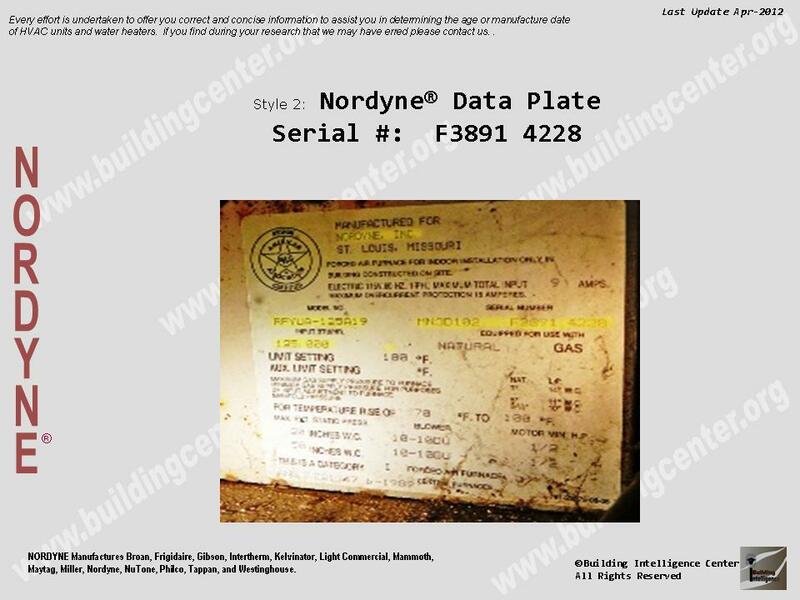 How to determine the date of production/manufacture or age of Ventrol® HVAC Systems. 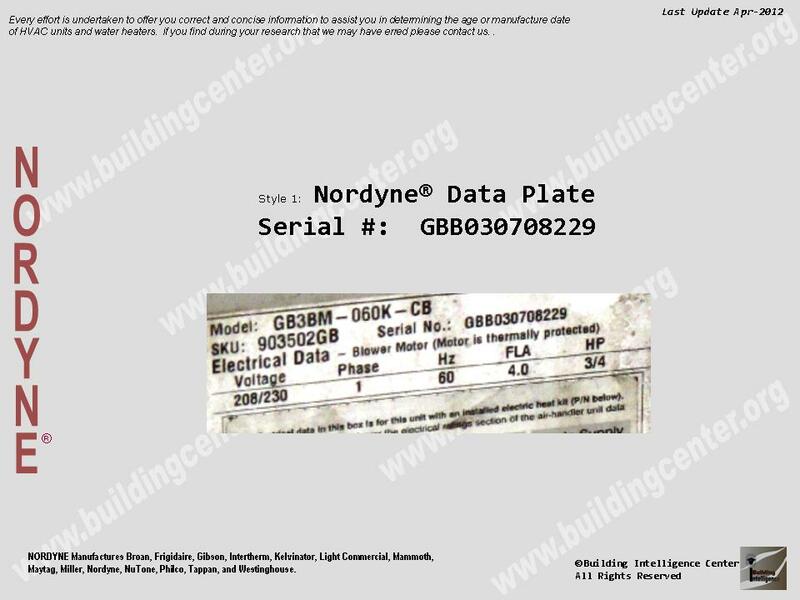 The date of production/manufacture or age of Ventrol® HVAC equipment can be determined from the serial number located on the data plate. 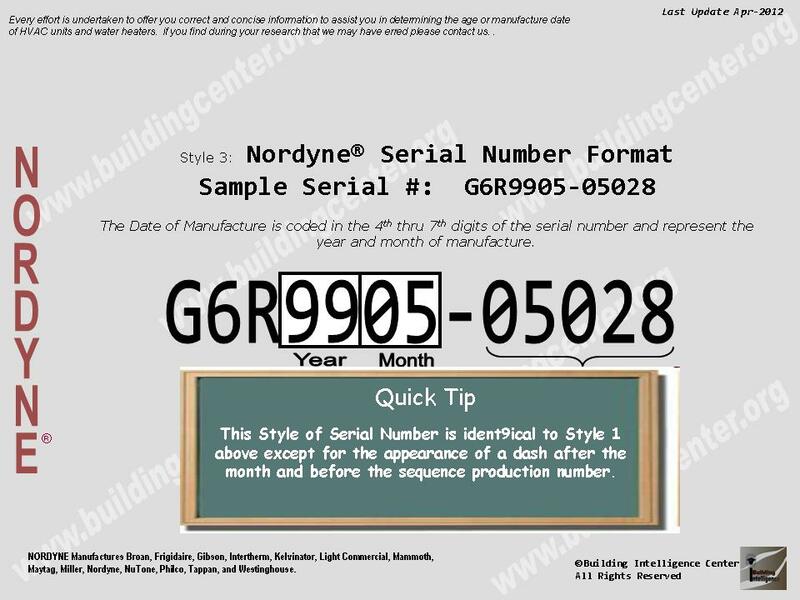 Example serial number styles/formats found: Please note: For more possible styles, see Westinghouse or Reznor. All of these are unconfirmed at this time for this brand. Description: Twelve (12) character serial number. Begins with three (3) letter digits followed by nine (9) numerical digits. Year of manufacture is 4th & 5th numerical digits combined. Month of manufacture is 6th & 7th numerical digits combined. Description: Nine (9) character serial number (does not count the space). Begins with one (1) letter and ends with eight (8) numerical digits. Year of manufacture is 3rd & 4th digits combined. Description: Twelve (12) character serial number. Begins with a single letter, followed by a single number, then another single letter and ends with four numerical digits, followed by a dash (-) and five numerical digits. 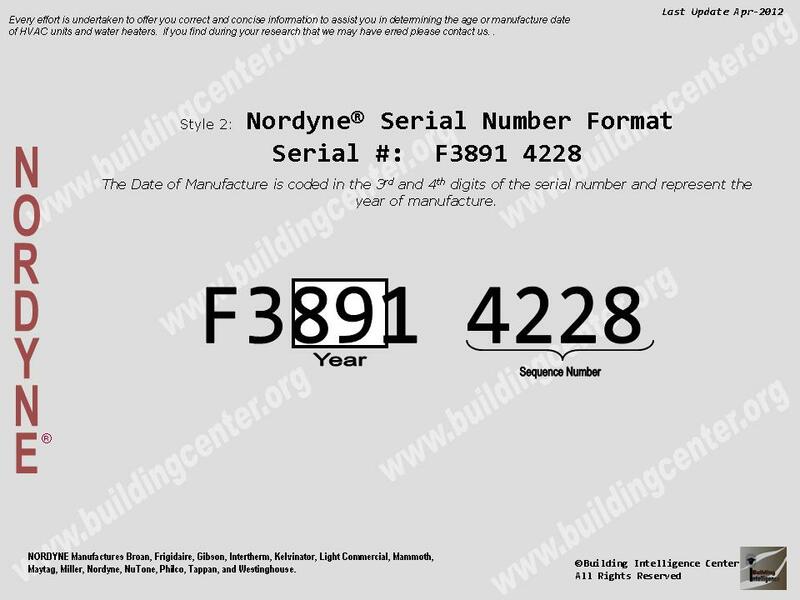 Year of manufacture is 4th & 5th digits of the serial number combined. 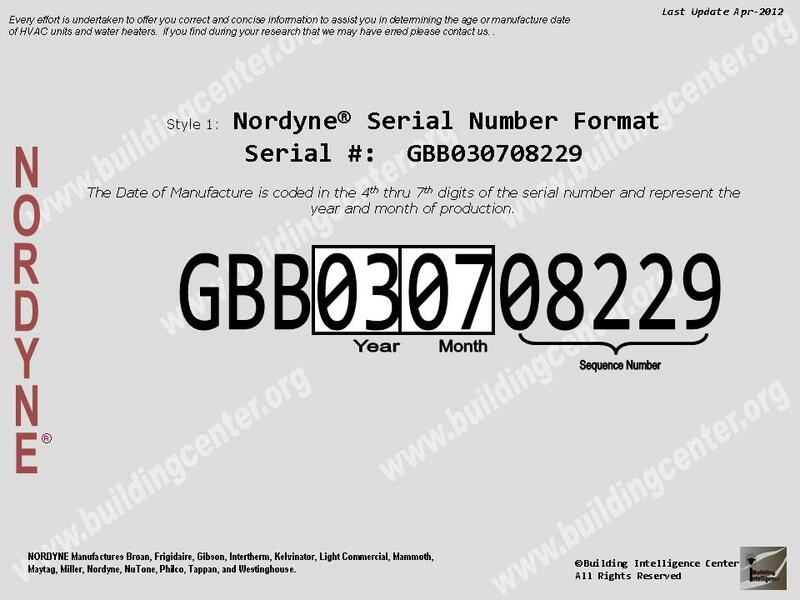 Month of manufacture is 6th & 7th digits of the serial number combined. Description: Thirteen (13) character serial number (includes the (-) but not the spaces). Year of manufacture 4th & 5th digits of the serial number combined. Description: Thirteen (13) character serial number (includes dash (-) but not spaces). 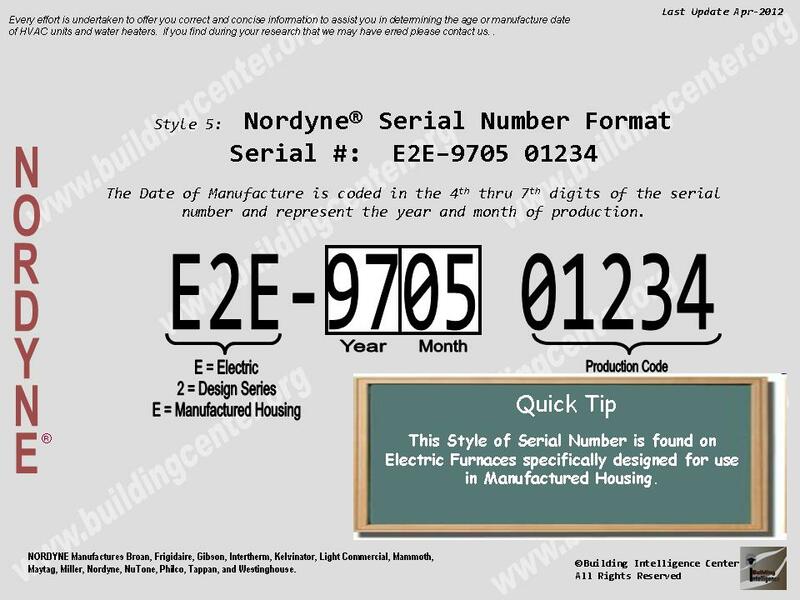 Serial number begins with a letter followed by a number then another letter, dash(-) and ends with nine (9) numerical digits. 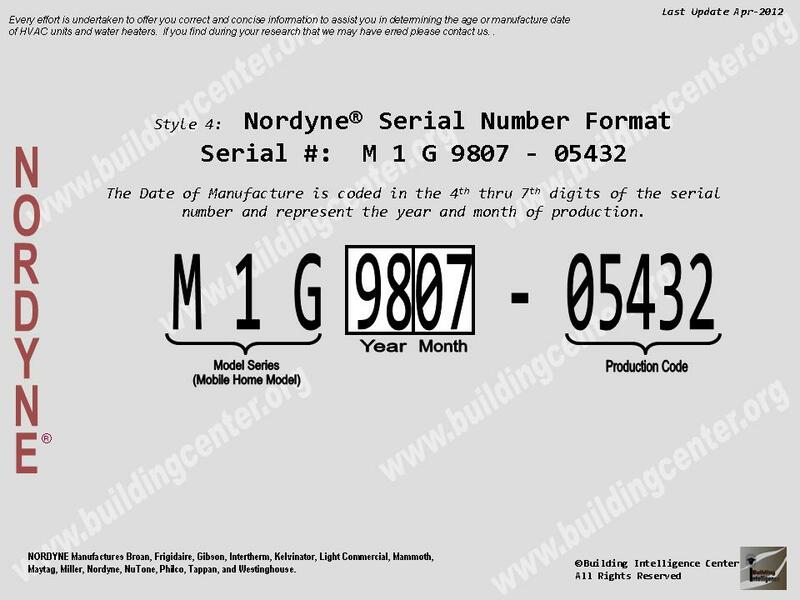 Year of manufacture is 5th & 6th digits of the serial number combined. Month of manufacture 7th & 8th digits of the serial number combined.